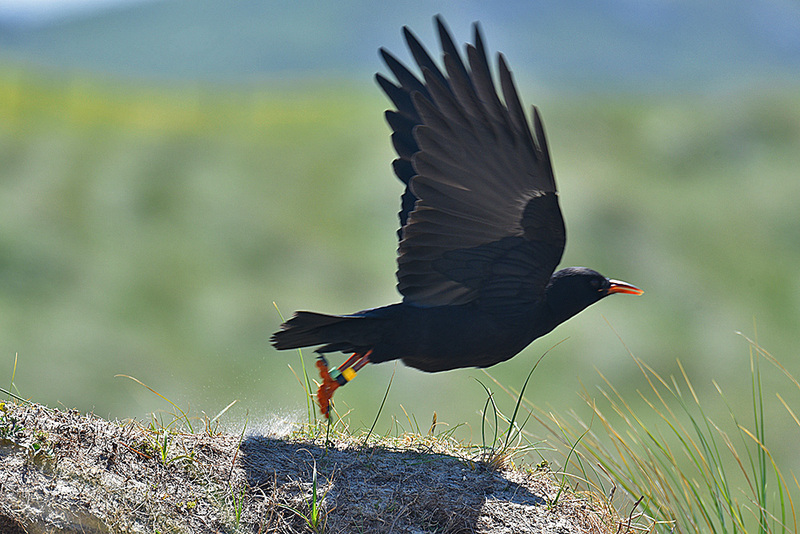 Spotted in the dunes at Kilchoman above Machir Bay, a Chough flying off from a sand dune. Not perfectly sharp I admit, but I like the dynamic in the picture with the sand being thrown up. This entry was posted in Beaches, Landscape, New Post, Sunny Weather, Wildlife and tagged Choughs, Islay, Kilchoman, Machir Bay, Rhinns of Islay by Armin Grewe. Bookmark the permalink.